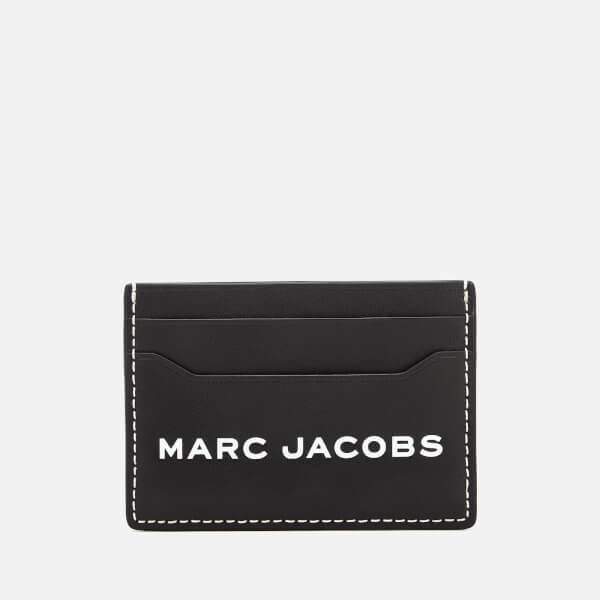 Black card case from Marc Jacobs. 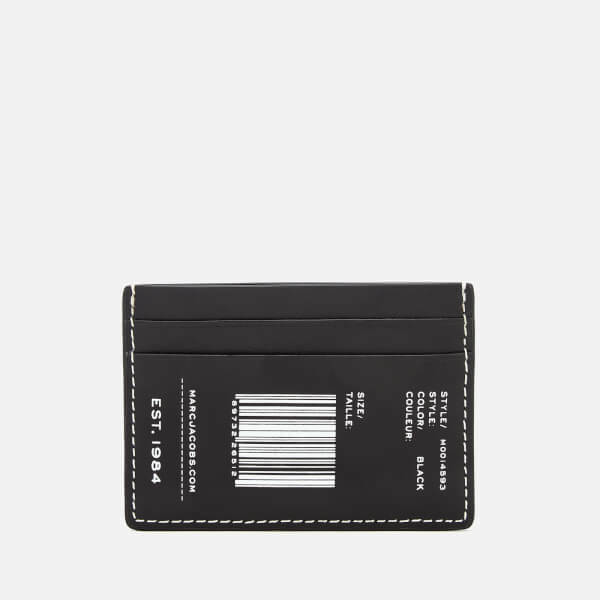 Crafted in soft, textured leather, the cardholder features a main pocket and two slots either side, while decorative stitching and a bar code print to the reverse add detail. 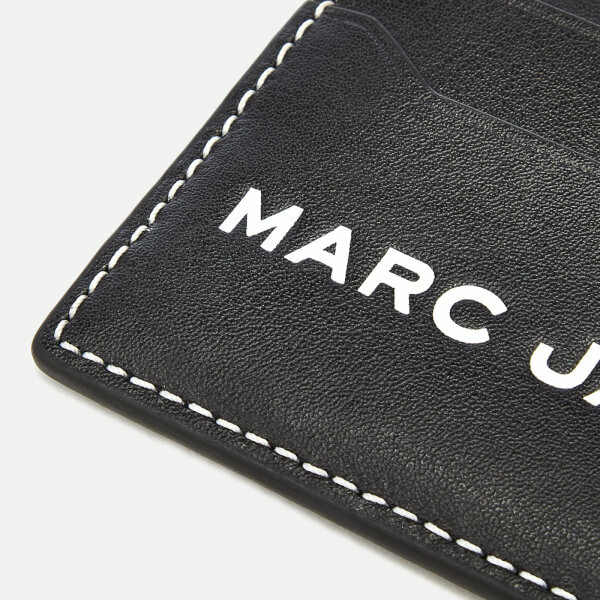 Signature branding to the front completes the design.